Roger Ebert left our world yesterday, on April 4, 2013 after a lifetime of writing about the movies. He may be gone but he will not be forgotten for he left behind a lifetime's worth of work and he helped to change the way we look at the movies. That Roger Ebert worked for the Chicago Sun Times newspaper as a film critic for 46 years? 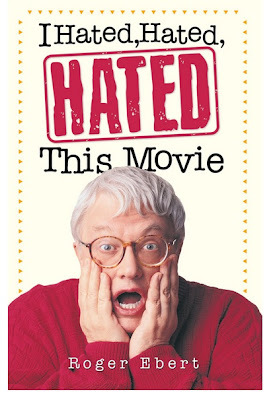 That he wrote 17 books, including the very popular I Hated, Hated, Hated This Movie (shown here), which was popular despite its rather uncomfortable subject matter? That he and partner Gene Siskel trademarked the phrase "Two Thumbs Up?" That he penned the all-too-true phrase, "No good film is too long. 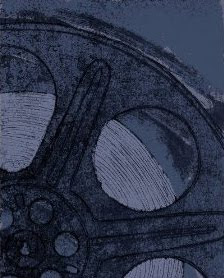 No bad film is too short." That Roger Ebert was the first movie reviewer to win a Pulitzer Prize for criticism? That he reviewed up to 285 movies in a single year? I do remember watching Siskel and Ebert review movies on television though I do not remember any specific reviews from that program. I enjoyed his work in recent years through his blog, which I often referred to for great and sometimes not-so-great movie reviews. How about you, do you remember Roger Ebert and his movie reviews? Order I Hated, Hated, Hated This Movie from Amazon. Nice tribute to a rather amazing man. No, I didn't know all those things about Roger Ebert - very interesting! And wow, 46 years is a very long time! I was impressed that he kept his sense of humor while fighting such a horrible illness and truly admire him just for that. I agree. Rest in peace, Roger. I totally agree Susan. I'm not sure that that I could have coped with his illness even half as well as he did.